This week Twitter had a tweet about taking toddlers to New York City. The tweet did not seem to promote this occurrence. Having taken toddlers and preschoolers to New York City, this Grandma disagrees. New York City is a perfect place to visit with a toddler and preschooler. You just have to be prepared. New York City parents are the target audience for prams and sturdy and heavy strollers. They maneuver the terrain every day. We visitors are there for a day or a few days and those heavy strollers are a burden and a hindrance. Bring the lightest umbrella stroller you can find. Yes, the cheapest is the best. This gives you flexibility of movement and the ability to fold and unfold and carry a light weight stroller. If you do not own one, then your first stop is Toys R Us in Times Square. They sell one with a sunshade for $20! Stay in a hotel in Times Square. There are many options with suites and kitchenettes. Or, of course, try www.airbnb.com Ask for a room that overlooks Times Square. Begin and end at Times Square. There is Toys R Us with the ferris wheel. There are lots of characters in costume, including Elmo and action figures. Yes, give the figures a tip for taking a picture with the toddler or preschooler. The daytime action continues at night, but now the lights of Times Square are the major attraction. The children will sit on the floor of the room and stare at the light show outside. Instant entertainment. Walk! New Yorkers walk everywhere and they live the longest in the United States. Every street has something to look at and smell. Every street, it seems, has construction to watch and listen to. The noise is an attraction in and of itself for the toddler and preschooler. You can walk from Times Square to the Manhattan Children’s Museum on the Upper West Side at 212 W 83rd St, New York, NY 10024. Remember, the blocks are short. Also, remember to hydrate yourself and the child, and feed the child another new and different snack from a vendor every few block as he or she rides. You will lose the weight the child will gain. Yes, the Children’s Museum is wonderful for toddlers and preschoolers. Explore all you can do at cmom.org. Yes, Central Park Zoo is wonderful for toddlers and preschoolers. It is small and compact and easy to maneuver at 6.5-acres located at 64th Street and Fifth Avenue in Central Park. It has a petting zoo and a playground for the children. A perfect zoo for the small ones. Check out. Try all forms of transportation and all sorts of views of Manhattan. Take a taxi ride. Take a subway ride. Take a boat ride. Take a carriage ride. 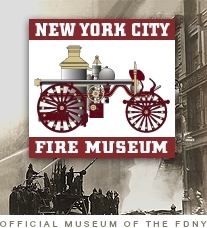 If it is a rainy day, New York has a Fire Museum at 278 Spring Street New York, NY, 1001 inexpensive to visit. Check this out. If you really have an adventurous toddler or preschooler, tackle China Town nearby. If your toddler or preschooler is not afraid of heights, check out the Empire State Building or the Top of the Rock for amazing views. Planning is the most fun. Check out Time Out New York for what is currently happening. The Gazillion Bubble Show is not what it used to be so unless the toddler or preschooler has patience, skip it, and maybe catch a show especially for toddlers and preschoolers that may be in town. There are many picture books about Manhattan for toddlers and preschoolers. Check out New York City – A to Z by Kip Cosson.